The existing Moto X and the Moto G have received some great updates and it’s a good thing that they didn’t come out with names such as Moto X1 or Moto G2. The specs of the Moto X has been beefed up and the finish of the device has been improved thanks to the aluminium frame and the Horween leather back covers. If you aren’t a fan of leather, the same old wooden covers are available as well and it’s good to know they are made from FSC certified trees. The new Moto X is armed with a Qualcomm Snapdragon 801 chipset with 2.5Ghz quad-core processor, 2GB of RAM and an Adreno 330 GPU. Sadly, there’s no expandable memory slot in the device as it comes in either 16GB or 32GB. The best update of the Moto X is the display. The previous Moto X had a 4.7 inch screen with 1280 x 720 in resolution whereas the latest Moto X comes with a larger 5.3 inch screen Full HD display with the same Corning Gorilla Glass 3. The megapixels of the camera has also been upgraded from 10MP to 13MP enabling the potential users to take pictures with dual LED flash and also record 4K videos. Another noteworthy change is the addition of duo speakers at the front which was not seen in the earlier version. Since there has been major updates to the new Moto X, it would also have been better if the battery power could be increased a bit more as it has been upgraded to only 2,300 mAh! For the pricing, the latest Moto X would cost $99.99 with a 2 year contract and $500 for the unlocked version. With Moto X upgraded, Motorola couldn’t just leave the old Moto G alone. 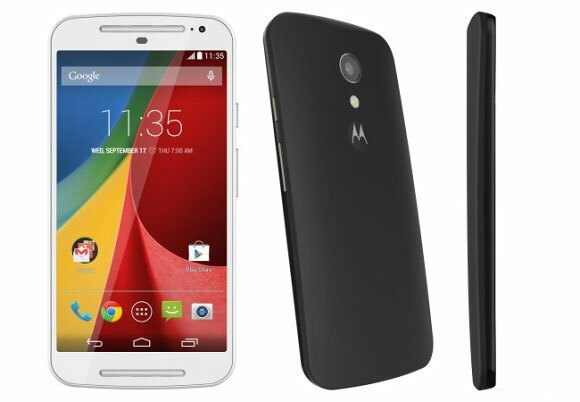 The budget friendly Moto G 2014 has also been transformed. The device packs a 5-inch 720p IPS display protected by Gorilla glass with impressive quality. This too, like the Moto X, has duo-speakers at the front which adds a great appeal to it and sets it apart from its competitors. For the processor, the Moto G still has the same specs as it houses the Snapdragong 400 chipset with 1.2 Ghz quad core processor, Adreno 305 CPU and 1GB of RAM. Good thing, the Moto G has an expandable microSD slot and would either have a 8GB or 16GB built0in memory. The camera has been beefed up as well from 5MP to 8MP with a 2MP camera at the front. 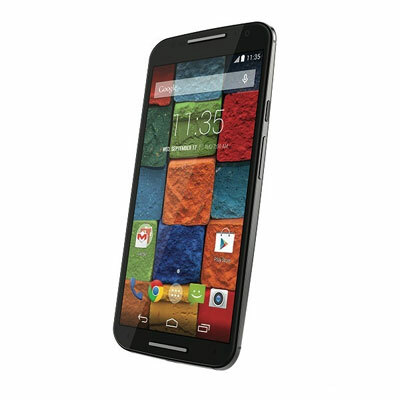 The new Moto G will boot with the stock Android 4.4.4 Kitkat and promises an update to the upcoming Android L.